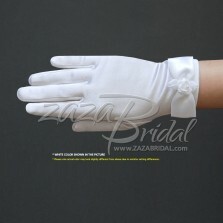 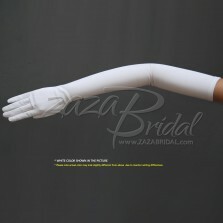 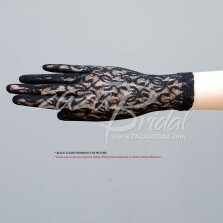 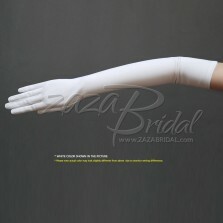 The hand portion is fingerless, fore finger opening and there is a place for the thumb. 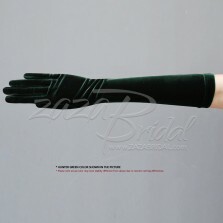 Great style, with a separate covering for the thumb. 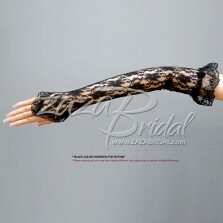 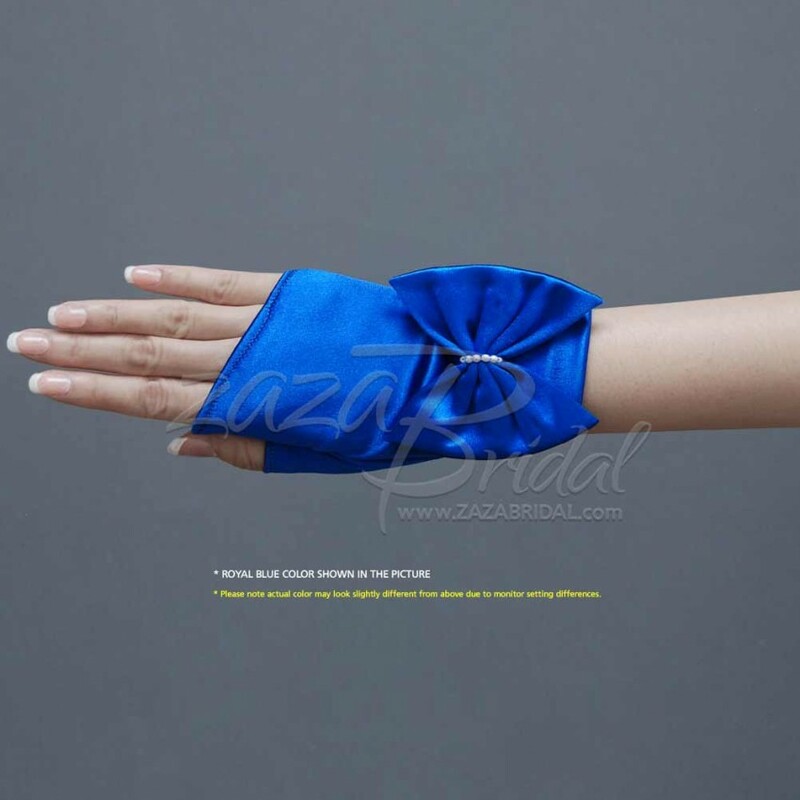 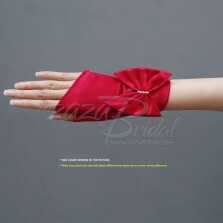 The Bow and beading accented at the wrist. 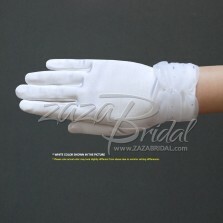 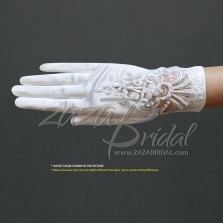 This glove measures approximately 5" long.